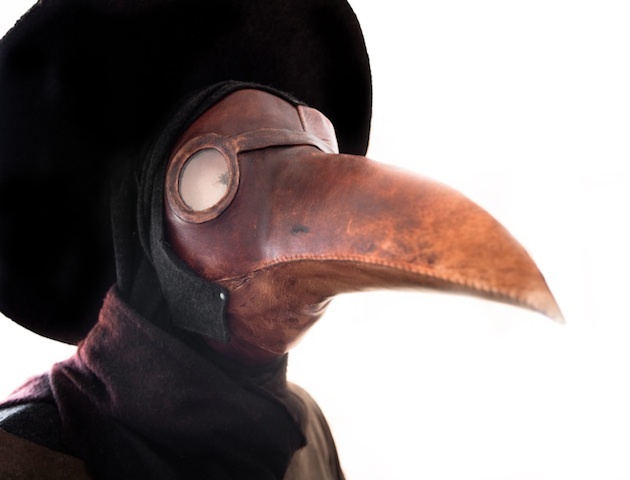 it's been 350 years since the Great Plague of 1665 hit London, killing around 100,000 people. That's a staggering 15% of the city's population at the time. Thankfully, that was the last plague pandemic the UK suffered. We take a closer look at that, as well as some other formerly common diseases from history. Plague doctors, wearing masks such as the one above, were a common sight in 17th century England, following an outbreak of bubonic plague in 1665. Caused by bacteria, it was transmitted through the bite of infected rat fleas, which probably arrived in London late in 1664 on rat-infested merchant ships – although a recent study has revealed that rats have had a hard press and, in fact, gerbils are the original source of the epidemic! At night ‘dead carts’ would patrol the streets, calling out for people to ‘bring out their dead’, who were usually buried in a mass grave called a plague pit. Those unlucky enough to catch the disease, suffered a range of terrible symptoms – from raging fevers and seizures to gangrene and swollen lymph glands in the groin and armpit, known as ‘buboes’. 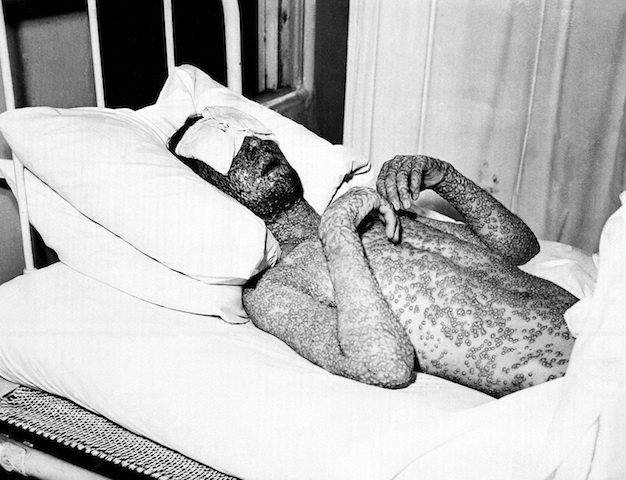 Thanks to vaccinations, this deadly disease, which used to kill 400,000 Europeans a year and leave survivors badly scarred, was completely eradicated in 1980. This is one of the most remarkable achievements in the history of medicine. The viral disease struck rich and poor alike, was extremely contagious and caused symptoms such as fever, headaches and vomiting. The most notable symptom, however, was a rash which started on the face before spreading to the rest of the body. This would turn into abscesses filled with fluid and pus. These would then break open and scab over. Once the scabs fell off, the tell-tale scars would be left. Not eating your dinner, are you..? This pandemic, which occured in 1918, killed more people than the First World War did. 500 million people around the world were infected with the virus – and, out of these, an estimated 50-100 million died. To put those figures into context, it’s around 5% of the world’s population. Usually the people most likely to be killed by influenza are the elderly or people with underlying health conditions, but Spanish flu killed healthy, young people.  Modern research, using virus samples taken from the frozen bodies of victims, believe this to be the result of healthy immune systems going into overdrive. This phenomenon, called a ‘cytokine storm’, causes swelling, redness and a high fever and can be fatal in many cases. Again, thanks to vaccination, polio is rare and on the cusp of being eradicated, with only a few hundred cases being reported worldwide each year. Mass immunisation began in 1988, when 350,000 people caught it. The condition, caused by a virus, strikes suddenly and mostly affects children. It works by invading the nervous system and can paralyse sufferers in a number of hours. For some, the disease would paralyse them from the chin down, meaning they couldn’t breathe on their own. Devices called iron lungs, like the one in the picture above, helped these patients to breathe and were synonymous with the polio endemics of the 1950s and 60s. 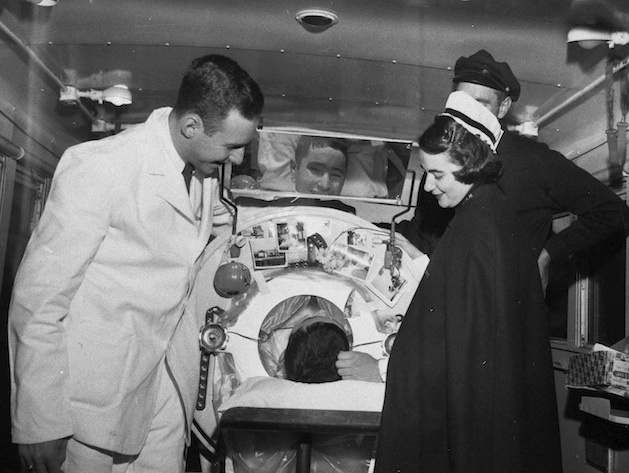 US woman Mary Mason, who was one of the oldest surviving people living in an iron lung after childhood polio, died in 2009 after spending 61 years in hers. 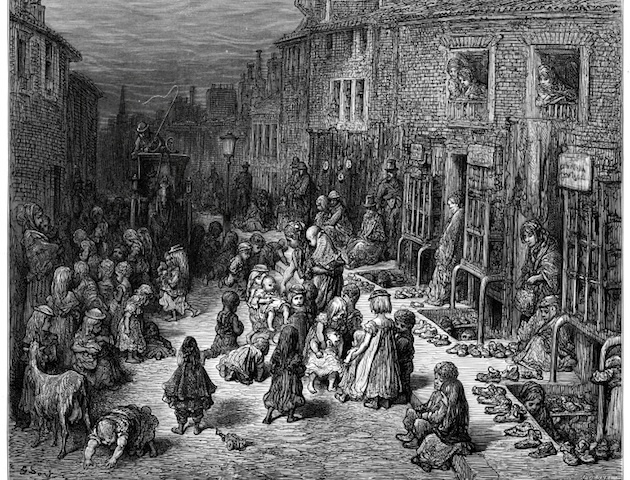 Victorian slums were a breeding ground for gruesome diseases. A bacterial condition spread by eating food or water, or washing with water contaminated with the faeces of an infected person, typhoid fever killed thousands. It was easily spread as sewage was often thrown into the river Thames, which was then used as a place to collect drinking water. The liklihood of getting this disease in the developed world is now very low thanks to the invention of antibiotics and sanitation systems. If left untreated, typhoid fever caused internal bleeding in the intestines and perforation of the bowel, which led to blood poisoning. Next time you get the sniffles, think on..!